The hotel offers accommodation in Rio de Janeiro, the Baía de Guanabara is 900 metres from the establishment while General Consulate of Germany is 3.1 km away. The nearest airport is Santos Dumont Airport, a few steps from the property. Every room is fitted with the amenities necessary to have a nice vacation with the whole family and the comfort every guest will find in the area. Visitors can enjoy the on-site restaurant where delicious meals are served to enjoy or delight with a drink after a day exploring the city. This popular hotel is ideal base for both business travellers and holiday makers for its perfect location. 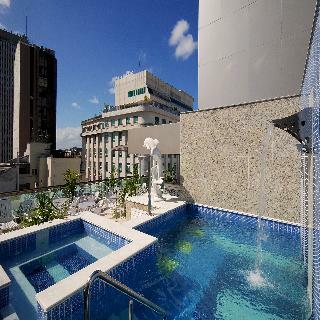 Located in the centre of Rio de Janeiro, this hotel offers guests direct access to a host of local attractions. Within a short distance of the hotel, guests can explore a range of theatres, museums, bars and shopping opportunities, as well as the restaurants of old town, where dishes will tantalise the taste buds. Guests will enjoy ease of access to public transport links. This modern hotel embodies elegance and sophistication, complemented by its professional staff and friendly atmosphere. The guest rooms are elegantly appointed, featuring ample space and elegant decor. Business guests can avail of the conference facilities and meeting room. After a busy day of exploring the area, guests can relax with a refreshing drink from the American-style bar. Ideal for business and leisure guests alike, this hotel is the only choice. 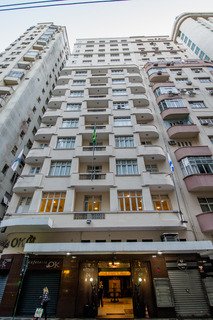 The hotel, located in downtown Rio, is the ideal choice for those seeking a budget hotel with quality services. It is situated near the famous quarter Arcos da Lapa, which is a competitive culinary centre playing good music. It has easy access to tourist sites and local places of interest, as the Santos Dumont airport, the Museum of Modern Art, the Municipal Theatre, the Consulate North America, Headquarters Petrobras and more. The hotel has 166 standard rooms equipped with air conditioning and other useful appliances. 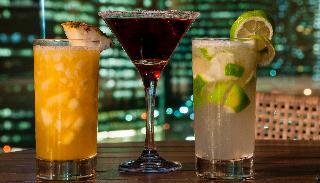 It offers a coffee shop, bar and lounge where guests can purchase drinks and refreshments. There is a business centre and meeting room available for those travelling on business. The apartments and common areas are equipped with free wireless Internet access. Placed on Rua Camerino, in the historic center of Rio, close to the Praça Maua and avenues President Vargas and Rio Branco. The area where it is located is undergoing a major revitalization since is placed in the area of the "Marvelous Port" project, which includes the museum MAR (Art Museum of Rio), the future Museum of Tomorrow (Spanish architect Santiago Calatrava), the Pier Maua, the new headquarters of the Bank of Brazil, Rio Trump Tower, the headquarters of Tishman Speyer (the British architect Norman Foster). These are some examples of projects that are under development in the region, and are all near the Pompeu Rio Hotel. The hotel is in a modernist building from the year 1939 and has 60 rooms, some newly renovated. The common areas were renovated in 2013. Our apartments are idealized thinking about your comfort, and they all come with private bathroom, LCD TV, air conditioning and minibar. Our guests have access to WIFI connection from anywhere on our establishment, totally free of charge. Come and taste the traditional Brazilian cuisine or try international dishes in the restaurant PIER XV recently opened, attached to our lobby. *Parking: 25 R$/day. The Atlantico Business is a great hotel, featuring modern accommodations, very nicely located in the centre of Brazil's capital. 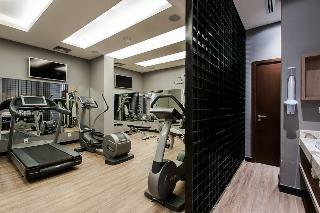 Facilities include a swimming pool, a sauna, a gym and two bars. It also offers a restaurant with national and international cuisine. The nearest underground station is at approximately 35 metres, easily reachable on foot. Santos Dumont Airport is at approximately 2 km from the hotel. It is a great place for business travelers. 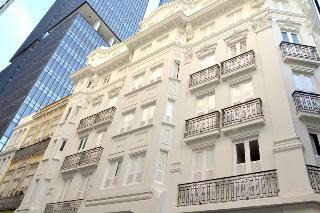 Belga Hotel is located in Rio de Janeiro, 1.4 km from AquaRio Rio Marine Aquarium and 3.1 km from Guanabara Bay. Guests can enjoy the on-site bar.Every room at this hotel is air conditioned and has a flat-screen TV with satellite channels. The rooms have a private bathroom. 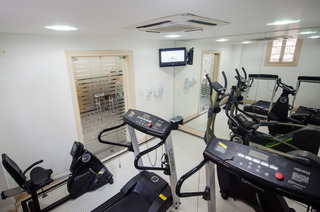 For your comfort, you will find free toiletries and a hairdryer.There is a 24-hour front desk at the property.Maracanã Stadium is 5 km from Belga Hotel, and Sugarloaf Mountain is 6.1 km from the property. Santos Dumont Airport is 1.9 km away. The attractive city hotel OK Rio de Janeiro is ideally located in the centre of this fascinating city, just a step away from famous Cinelândia Square. In the vicinity, guests can find points of interest such as the Municipal Theatre, National Museum of Fine Arts, National Library, Petrobras or the Metropolitan Cathedral. The metro station at Cinelândia offers easy access to the whole city, including the world-famous beaches of Copacabana and Ipanema. The hotel features comfortable and cosy rooms, all equipped with air-conditioning. Culinary options of the hotel include a restaurant serving a delicious combination of Carioca, Brazilian and international dishes as well as a coffee shop tempting with the best of cakes, pies and cappuccinos. 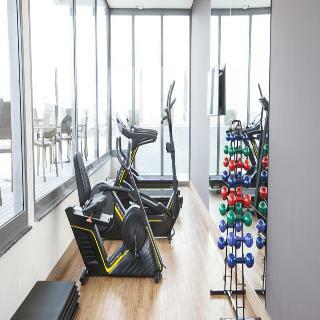 A fitness centre, a sauna and an outdoor pool invite to work out and relax. Thanks to its perfect situation, this hotel is an ideal starting point to explore one of the world's most fascinating cities. Villa Rica offers basic accommodation with free Wi-Fi in Rio's bohemian Lapa neighbourhood. 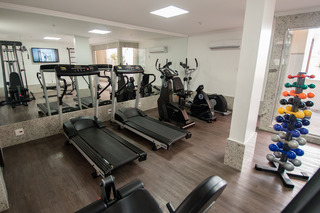 It's convenient location places it next to Glória Subway Station and 2 km from Santos Dumont Airport. The rooms at Villa Rica have simple furnishings with dark green colour themes and brown granite en suite bathrooms. All are equipped with air conditioning and en suite bathrooms. Guests can enjoy a daily breakfast with fresh fruit, pastries, bread, cold meats and juices. It can be served in the rooms with a charge. For entertainment, Villa Rica is 2 km from Rio's lively Sambodrome, where guests can enjoy samba shows. It is also 700 metres from the Modern Art museum. A car rental service is available.